Hitler was an Atheist! Stalin was an Atheist! Pol Pot was an Atheist! This turns up a lot; that atheists are nothing but immoral, child-eating, heretical, blah, blah, etc. etc. This point of view is going to need some serious light to blast away the ignorance. The truth is these men weren’t atheist. In the case of Stalin and Pol Pot they believed in an ideology that stated religion was an oppressive force towards the working classes and should be gotten rid off. Hitler on the other hand was a different story. Where to start? First off, he was a bit of a mad man. And when I say mad, I mean delusional. He did express a dislike for the Judea-Christian doctrines because of the bit about caring for the weak and the poor. And also the Jew parts. But did believe. Back to the delusional thing. The man had a Messiah complex; meaning that he thought he was on a divine mission from god. This mission of course, he believed, was to kill all Jews and restore the Roman Empire under the German Flag. Lets review: man thinks he’s the chosen one, sets up pagan religion which he’s the head of and person of worship. Sound familiar? Does god king ring any bells? Yes, you’ve guessed it! Egypt and the Pharaoh Kings! People think of these tyrants as people. Monsters yes, but still people. So the idea that these dictators saw themselves as greater then mortals is often overlooked. Unfortunately my knowledge of Pol Pot is not as good as it should be for a post like this. 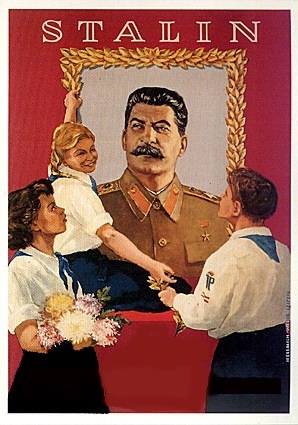 But I can state, in the case of Hitler and Stalin, that the “cult of personality” was very much used; setting up the image of these men, in the eyes of the public, as demi-gods (only a slight exaggeration), certainly greater then common members of the public. So in conclusion, these men were nutters– not rational, scientific, open-minded Atheists.